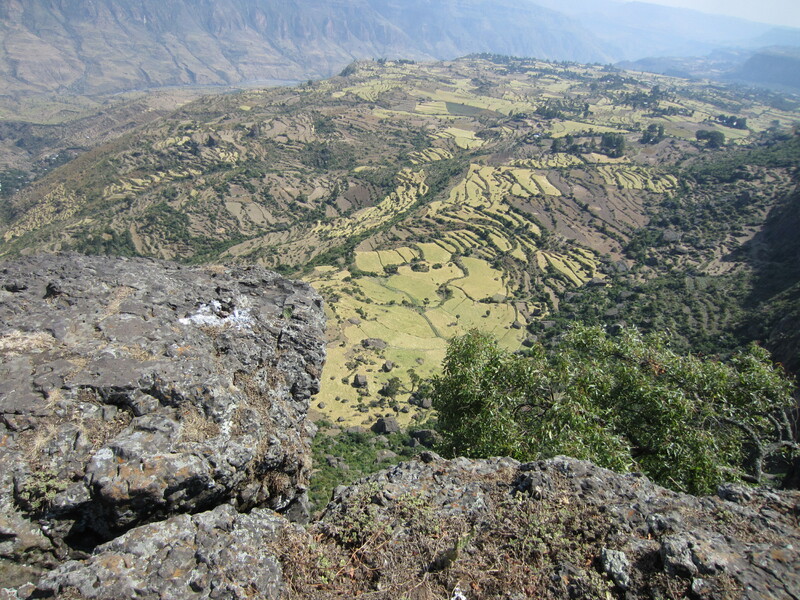 The so-called ‘Nile 4’ project aims at quantifying the consequences of improved rainwater management, measuring downstream, cross-scale consequences of successful innovation in the Ethiopian highlands. 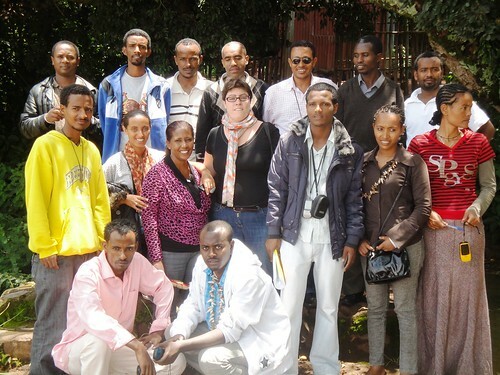 On 23 May 2012, this project team organized a coordination meeting with the team of another Nile project (‘Targeting and scaling out of rainwater management systems‘, or ‘Nile 3’ project) to integrate targeting, impact assessment and priority setting between the two teams, as the pressure to integrate Nile Basin Development Challenge work streams is mounting. The coordination meeting gave a good occasion to review progress so far and identify the building blocks that the two project teams should capitalize on. For the year 2011, the N4 project team has been working on a number of important developments that should benefit the wider Nile Basin Development Challenge program and beyond. 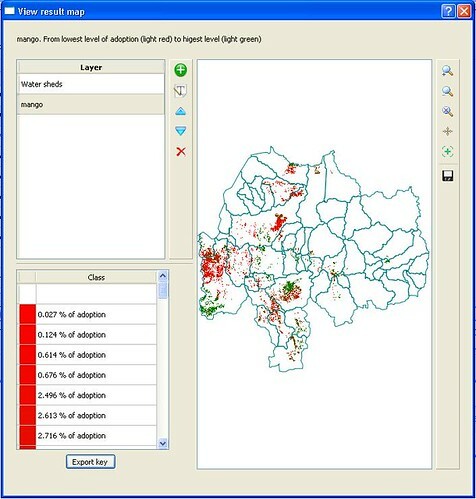 Modifying the open source Soil and Water Assessment Tool (SWAT) to better represent hydrophysical conditions in the Blue Nile Basin (for use at a whole basin and at the catchment scale of the project). The team has done so by incorporating the concept of ‘topographic index’ into the model routine to account for saturation excess flow and landscape run-off processes, more realistically representing how and where run-off and sediment generation occur within the defined catchment. Developing a first version of the Water Evaluation And Planning (WEAP) model to assess water resource optimization in the Blue Nile. Further plans include the coupling of the WEAP and SWAT models and to run a number of climate change scenarios to gauge possible impacts. Developing a new method for acquiring a 30-year weather data set for anywhere in the world. 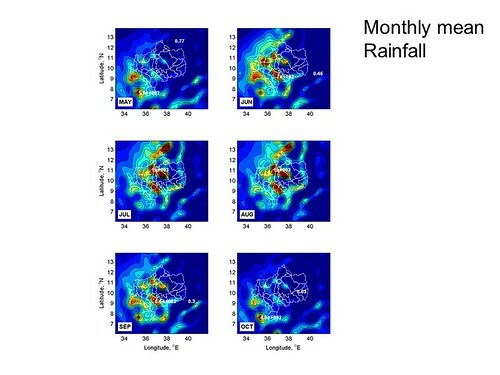 Currently, most African weather data sets do not feature adequate temporal or spatial resolution, length of recording period and reliable quality of data. This endeavour aims at re-dimensioning the existing Climate Forecast System of Reanalysis (CFSR) dataset as a temporal series of grid points to avoid having to download terabytes of data to access a single point. Cornell University is assisting the project team. Applying and adapting the economic benefits-optimization model ‘ECOSAUT’ in the Blue Nile Basin. This model was originally developed by the International Center for Tropical Agriculture (CIAT). The project team also compiled a literature/data source data of economic benefits in Ethiopia (and East Africa) to help scale up this work in the longer run. The N4 project further documents progress on the overall program wiki and on the CPWF Spatial Analysis and Modelling topic working group wiki. 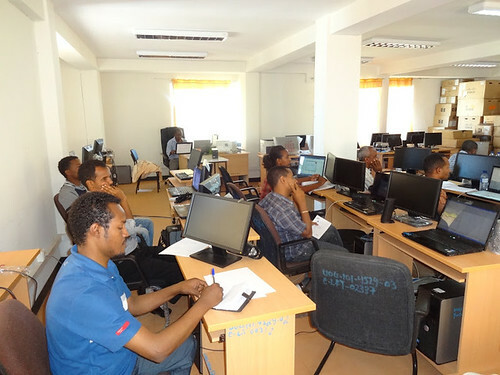 From 15 to 19 August in Bahir Dar, the Nile BDC project on ‘targeting and scaling out’ joined with partner organization Amhara Regional Agricultural Research Institute (ARARI) to deliver a Geographical Information System (GIS) training. Targeted to the needs of agricultural research collaborators in the project, the training covered next to basic GIS knowledge, training on field data collection, use of GPS, data transfer, and creating maps based on hard copy topographic maps (geo-referencing). The aim of the training was to increase GIS literacy among our partner research centers, so they will be able to use – and contribute to – the GIS tools that the project is developing. Sixteen participants attended from ARARI, the Oromia Agricultural Research Institute (OARI), and the Ethiopian Water Harvesting Association (EWHA). The training was based on a ‘learning by doing’ approach in which participants received a short theoretical introduction then explored and learned GIS manipulation using ArcGIS software. They were supported by a team of trainers: Dejene (ARARI), Menenlik (ARARI), Yeneneneh (IWMI) and Catherine (ILRI/IWMI). Feedback from the participants was very positive and the organizers are considering how to scale out further such training to meet the growing demand. 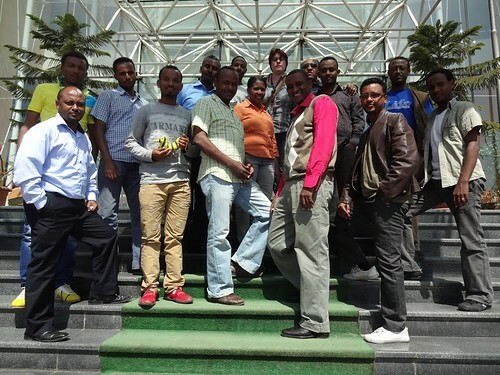 One element is to develop a pool of trainers – this is likely to be taken up by the Blue Nile Authority.